The AGL Manhole Transit Mount for GL2700 and GL3000 1-08950 mounts the GL2700 and GL3000 pipe lasers on a manhole for above or below ground projects. Its 5/8 x 11 thread also allows for the easy mounting of other alignment instruments. The rotary crank helps the mount move freely at any point. 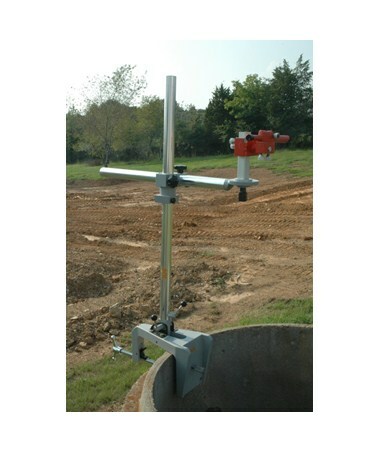 And the mount comes with a tilt mechanism for quickly erecting your alignment device. Please Note: Transit mount only. Transit and mount pictured are not included.